Get in touch with your tech. 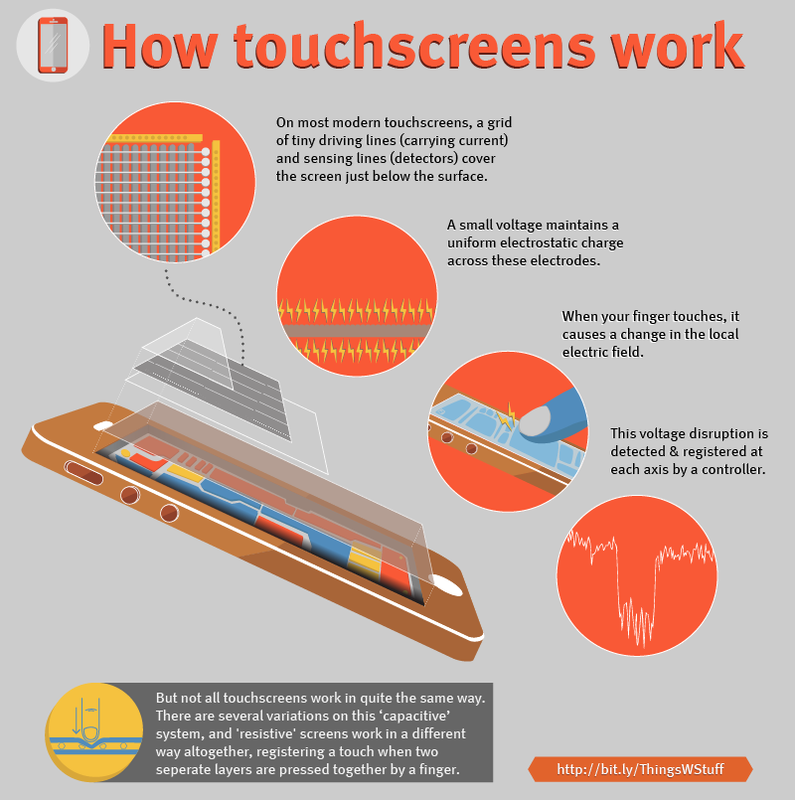 Have you ever wondered how your phone’s touchscreen works? Or why it doesn’t work when you’re wearing gloves? In the rapidly evolving world of touchscreen technology no two screens are the same, but many work on similar principles. Take in a visual overview of how many of today’s high-end ‘capacitive’ screens work. Get to know the inner workings of the gadgets we rely on so much.